Who was it that taught you how to apply makeup? Your mom? Your big sister? Or, perhaps, it was Jaclyn Hill, one of the most successful beauty vloggers on YouTube. The self-taught 27-year-old makeup artist has encouraged millions to achieve the perfect smoky eye and give contouring a chance. In doing so, her videos quickly catapulted her into fame, which Hill has used to help build her own brand — her own ridiculously successful brand. 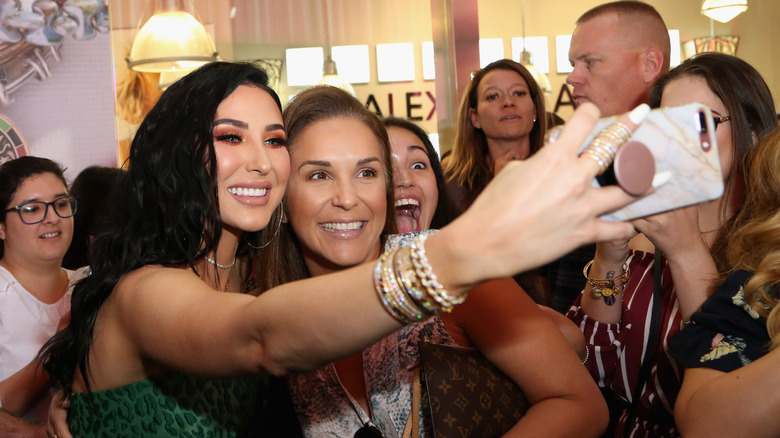 In 2016, Glamour reported that “everything Jaclyn Hill touches sells out instantly.” It’s true. Hill partnered with Morphe to create the Jaclyn Hill Favorite Palette and, after opening pre-sales at midnight on New Years Eve 2016, effectively crashed the site before coming back online and completely selling out in just 45 minutes. 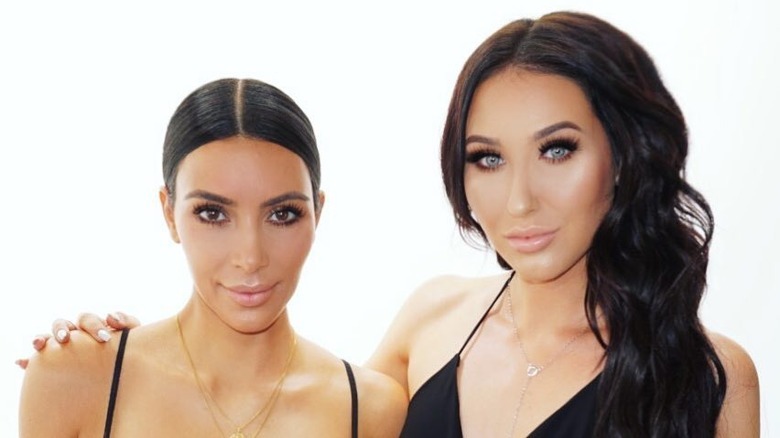 Hill then went on to collaborate with Becca to create a new highlighter hue, Champagne Pop. In a matter of 20 minutes, sephora.com sold a whopping 25,000 compacts. 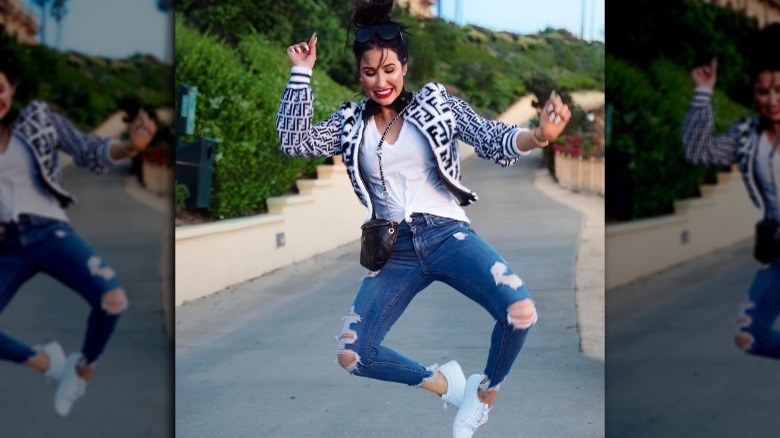 Jaclyn Hill, the brand, is certainly slaying, but what about Jaclyn Hill, the person? Here are some things you don’t know about the legendary beauty guru. When Jaclyn Hill started uploading makeup tutorials to YouTube in 2012, it was obvious that she had a love, and talent, for doing makeup. Without that winning combination, it’s likely she wouldn’t be where she is today. However, makeup wasn’t exactly Hill’s first career choice. In an interview with Women’s Wear Daily, Hill divulged that she wanted to be a fashion designer when she was young. “My first love was fashion,” she explained to the magazine, adding, “Along with of course wanting to be Britney Spears.” Naturally. Hill even started cutting up her own clothes in her early attempts at fashion designing. Over time, Hill moved on to photography and videography. From there, she moved on to makeup. “I had a little shoe box under my bed that was filled with products I would accumulate from my mom and my sister — their hand-me-down products,” she told WWD. Hill was then able to fuse her love of video and makeup together to create the wildly lucrative YouTube videos we’ve all come to know and love. In June 2018, Hill published a video of herself reacting to her first YouTube tutorial. Obviously, a lot has changed since she first started her channel. “I have lip filler and nose filler so for me to see my nose and lips … who is that? It’s so weird!” Hill said as she watched her former self. The differences in six years were more than just cosmetic changes, though. In the video, Hill imitated a Kim Kardashian look. Fast-forward to 2017 and Hill is on camera teaching Kim Kardashian some tricks of the trade. A surreal experience for Hill, for sure. Although Hill dubs the video as her “first YouTube video,” in reality, it is her second. “My first tutorial was Jan. 12, 2012,” Hill admitted to Women’s Wear Daily. Feeling that it wasn’t any good, Hill made the decision to delete it. “My second video is the one I kept up, and I refer to that one as my first,” she explained. That video is also her first to go viral and is responsible for many of her subscribers. Hill has also lived in New England. When she first began uploading videos to YouTube, Hill was living in Boston with her boyfriend and eventual husband, Jon Hill, as well as with his father. “We were so broke, we couldn’t even support ourselves,” the makeup artist admitted. Thankfully, Hill had accepted a transfer to the MAC Cosmetics in Natick, Massachusetts where her clients would eventually request her to put makeup tutorials on YouTube. And the rest, as they say, is history. With over five million subscribers, it seems like Hill is firmly cemented in pop culture or, at least, YouTube culture. But, that’s not to say her worries aren’t legit. YouTube sensations have been known to come and go or decrease in popularity and there’s not much that can be done about that. Hill is not ignorant to this fact. “At the end of the day, there’s always something new, there’s always something fresh, there’s the new generation and the up-and-comers, so who knows,” she told the magazine. She further explained that’s why everyone should go after their dreams. “Waste no time, “she advised. You can’t fault that advice.